The 2019 edition of the Canada Food Guide revolutionizes our preconceived notions about our relationship with food. The Guide calls for a major shift towards plant-based diets, de-emphasizing meat as a source of protein. The new Canada Food Guide makes sense - not just for your health, but also for our planet. The Guide was released hot on the heels of a major, global scientific study from the EAT-Lancet Commission written by 30 leading scientists from across the globe. The report promotes "the planetary health diet" and reinforces the approach of the Canada Food Guide. 1. Your health. Research has proven that eating a plant-based diet can help prevent Type 2 diabetes, lower blood pressure, cholesterol, and blood sugar levels, improve heart health, and lead to healthier skin. 2. The environment. Greenhouse gas emissions – the leading cause of climate change – per gram of beef or lamb protein are approximately 250x those of legumes. Another way to think of this is that twenty servings of vegetables have fewer greenhouse gas emissions than one serving of beef. Want to get a clearer picture of the environmental impact of your favourite foods? Check out this handy tool from BBC News. 3. Your pocketbook. Generally, plant-based proteins cost less than meat, which means more money in your pocket. In fact, some research has shown that vegetarians can save upwards of $750 per year compared to meat-eaters. 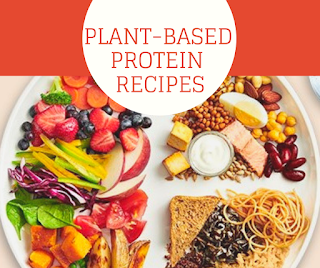 Incorporating more plant-based proteins into your diet may seem like a daunting task, but keep in mind that it doesn't have to be all or nothing. Even going plant-based one day a week will make a difference. To get you started, visit our Pinterest page for lots of tasty and simple recipe ideas. Be sure you check out our #LocalDishTO recipe boards while you're there. And, did you know that we curated kid-approved recipes in our Make It Local recipe book? Finally, check out the Toronto Vegetarian Association website for lots of resources, including their 7-Day Veggie Challenge. It's time to rethink our relationship with food. 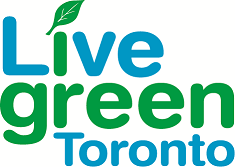 Visit livegreentoronto.ca to find out how.